Make this delicious yogurt panna cotta that’s sweetened with lavender and chai maple syrup and topped with oat crumble. A perfect dessert recipe for your summer brunch! Thank you to PURE Infused Maple Syrup for collaborating on today’s post and helping me share one of my favourite summer recipes. As always, opinions are 100% my own. Are you a brunch person? As soon as the warm weather arrives, I’m definitely one to enjoy a little al fresco dining before noon on the weekends. Sometimes I’m craving good ‘ol waffles with fresh berry compote at one of our local restaurants. But, more often than not, I opt to stay home and enjoy our own back yard. That’s where it’s a little more socially acceptable to dine in my PJ’s. Having the right ingredients on hand and prepping ahead makes brunch a breeze. Easy enough, you can even host a small get-together without rising with the sun. Because we know that happens way to early in the summer, right? My go-to? 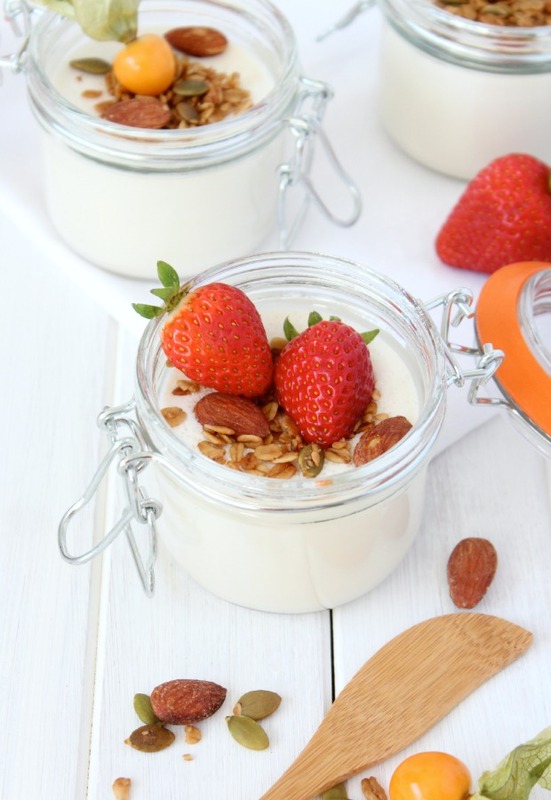 Simple yogurt panna cotta that can be made the day before. Easy peasy! Typically a dessert, but when topped with crunchy maple crumble with notes of lavender & chai, along with summer fresh fruit, it’s more like a parfait. Caught somewhere between breakfast and dessert and oh-so-good! Meanwhile, pour the remaining milk, yogurt, cream, maple syrup and vanilla into a mixing bowl. Stir to combine. Add milk and gelatin mixture and whisk until smooth. Pour into small bowls or jars and place in the refrigerator. Set for at least 2 hours or overnight. In a large bowl, mix together rolled oats, flax seed, pumpkin seeds, and almonds. In a small saucepan, add maple syrup, butter, water, vanilla, salt and cinnamon. Heat over medium heat until mixture just comes to a boil. Remove from heat and pour over dry ingredients. Stir to combine. There should be no excess liquid at the bottom of the bowl (add more oats if necessary). Spread evenly on a baking sheet and bake for an hour, stirring every 15 minutes. On the last stir, turn oven off and place tray back into oven for 20-30 minutes until topping is dried out. Allow to completely cool. Makes enough for panna cotta topping plus extra to eat with yogurt or milk for breakfast or a snack. Delish! Assemble panna cotta right before serving. Top with seasonal fresh fruit of your choice, such as peaches, strawberries, raspberries, blueberries or gooseberries. Love maple syrup as much as I do? Check out more unique flavour combinations available at PURE infused Maple Syrup. Pure Nova Scotian maple syrup with a fresh gourmet twist. Delicious yogurt panna cotta that's sweetened with lavender and chai maple syrup and topped with oat crumble. A perfect dessert recipe for your summer brunch! In a small saucepan, add maple syrup, butter, water, vanilla, salt and cinnamon. Heat over medium heat until mixture just comes to a boil. Remove from heat and pour over dry ingredients. 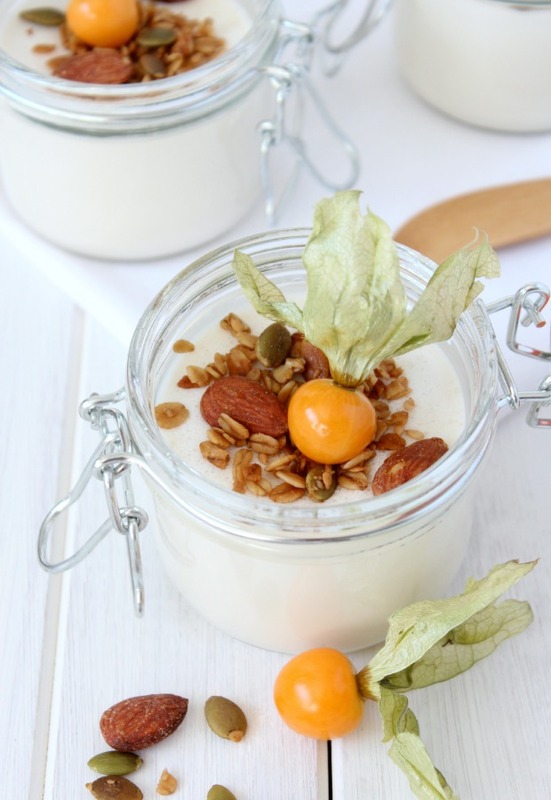 Makes enough topping for panna cotta plus extra to eat with yogurt or milk for breakfast or a snack. Delish! I am totally a brunch person!! I’m some what wishing I could come join you in your backyard in my pjs :). This look delicious and is so beautifully photographed! I love recipes that are prepped a day in advance and will totally have to try this out! Brunch in PJ’s is the best. Thanks for stopping by! I have been cooking and baking with this Maple Syrup so much in the past month. Just published a recipe today making Granola with their Maple syrup. Your panna cotta looks tasty! This is beautiful and looks delicious, putting on my things to try list! 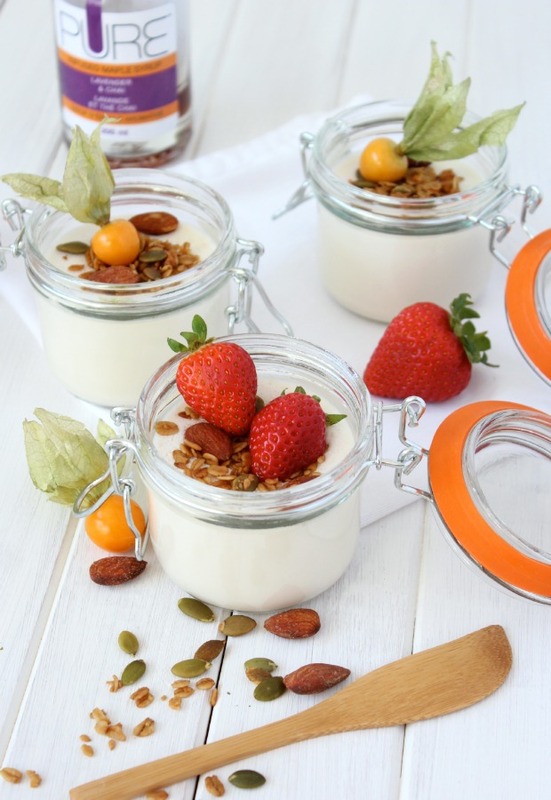 Your panna cotta looks wonderful! 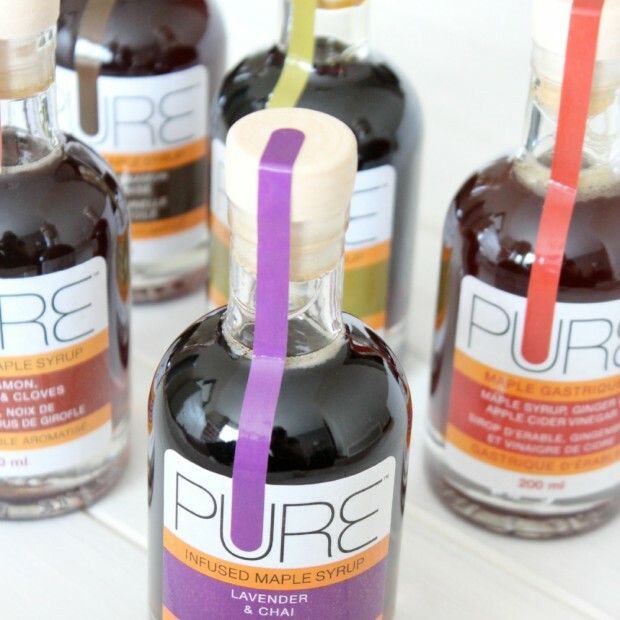 I have yet to try the PURE infused maple syrup line but I’m quite excited about them because I love maple syrup! Yes, you should try it. The syrup is so good. I especially love the maple gastrique one as a salad dressing (apples, cucumber, greens, pecans, feta- delicious)! This looks so good! Thanks for linking up to the Creative K Kids Tasty Tuesday linky, I can’t wait to see what you create next week!